to extinguish the flame, use the wheel to bring the wick down completely. 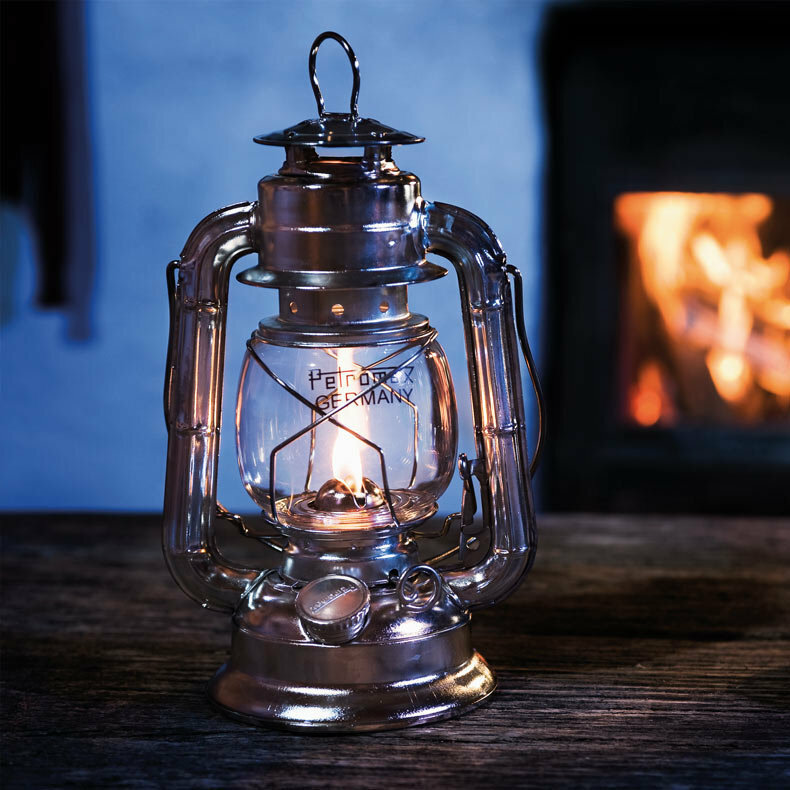 The HL1 storm lantern is full of charm and easy to use, it is an ambiance product (silent, easy to light, easy to extinguish) that you can easily place on a table. With regards to light intensity, it can be compared to a large candle (that is not sensitive to wind) i.e. 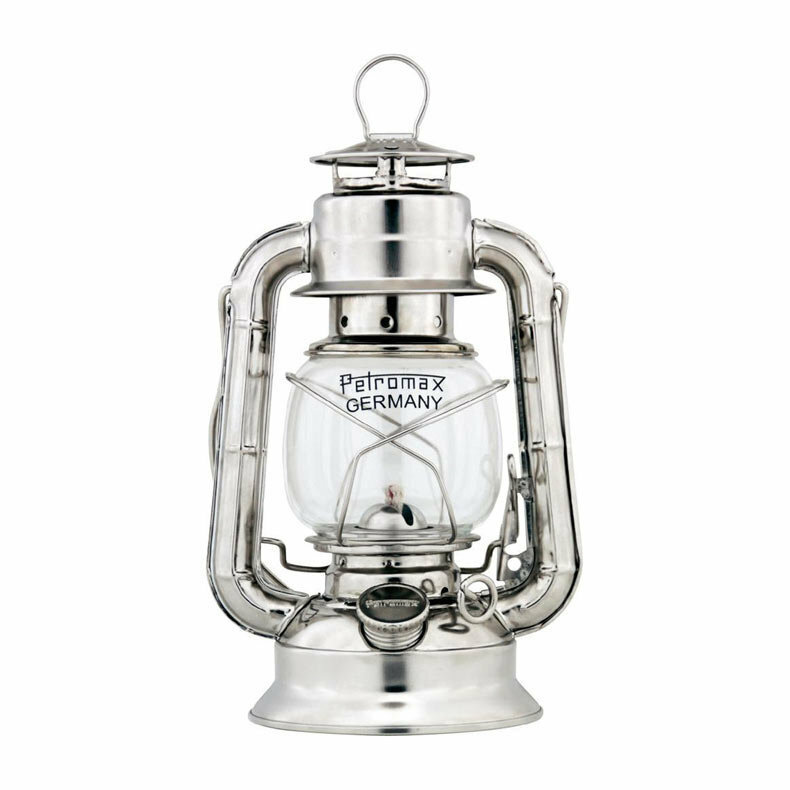 5W, but absolutely not to its big sister, the Petromax HK500, that develops 400W, thus capable of competing with a large halogen spotlight. 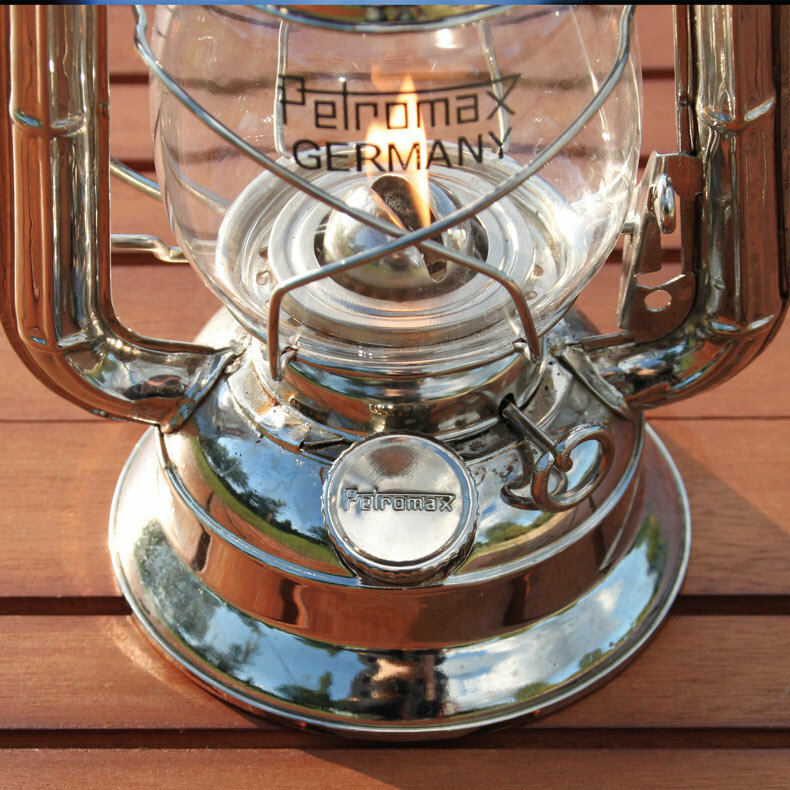 The Petromax HL1 storm lantern is in a way a super candle that is wind resistant and lasts about twenty hours with one fuel load. Its retro charm does not go unnoticed on an outdoor table. 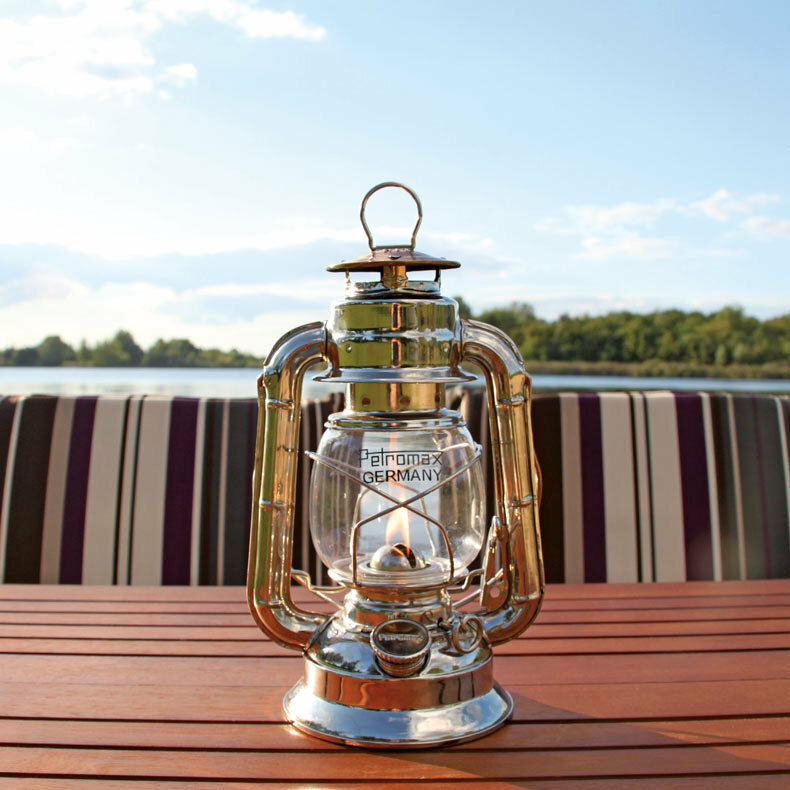 With millions of items sold, this is a lamp that has proven its worth worldwide, on bourgeois urban apartment terraces as well as in the middle of the bush. 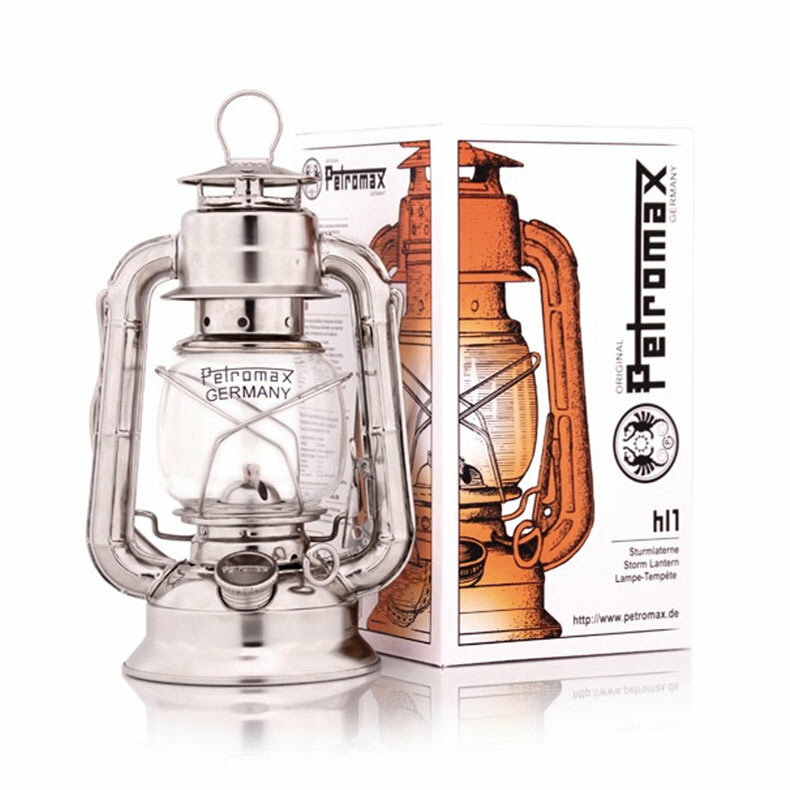 For the record, Petromax has been the most famous and renowned manufacturer of kerosene lamps in the world for over a century. 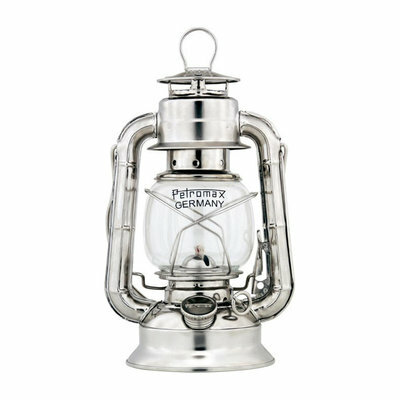 It was Petromax that industrialized the process of the incandescent mantle (allowing to obtain incredible light intensity at the time), but also generalized the small storm lanterns such as this HL1 and made them very reliable.